Put on long pants so you can push through the thicket. The red ones pretty sour, but the black ones are heaven. If they wanna get some, we can show ’em where we goin’. If you wait ’till next week, then you wait another year. This entry was posted on Sunday, June 27th, 2010 at 10:29 pm and is filed under Curious food, Curious living, Curious wild food. You can follow any responses to this entry through the RSS 2.0 feed. You can leave a response, or trackback from your own site. 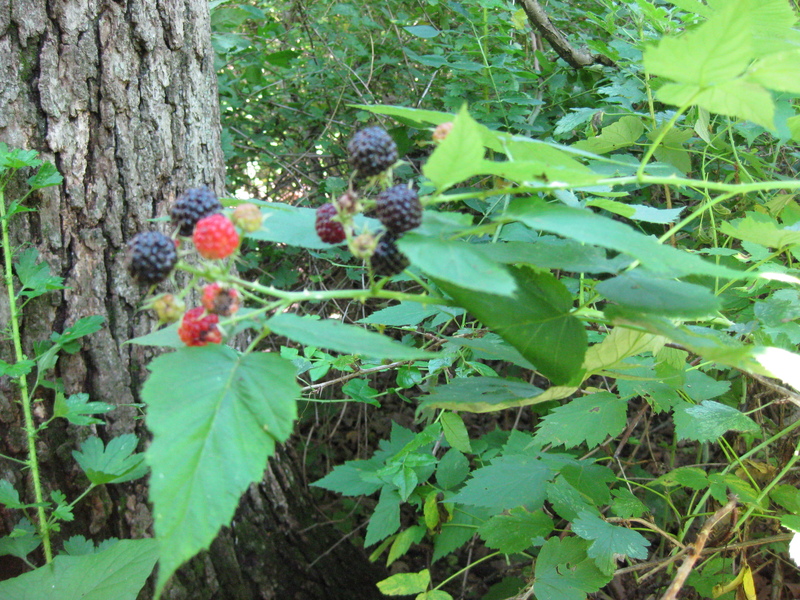 My daughter Haleigh came from Las Vegas while she was visiting to pick some blackberries with me out by our cabin. We got two bucket fuls and mom made some pie with them. I love me some black caps!